Now that the weather is starting to get a little warmer, you might have the camping bug in ya. Stephen Troese Jr. says this is not a coincidence. After spending a ton of time indoors (in Stephen’s case, trying to stay warm with nor’easter after nor’easter going on), once the clocks move forward, it’s only natural that you’ll want to start spending more time outside. 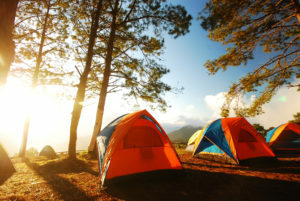 Camping is a great way to reconnect with the outdoors and get away from the hustle and bustle of day-to-day life. As Stephen Troese Jr. lives in Washington D.C., you can bet he’ll do anything to get out the city. Camping allows everyone to slow things down and just sit back and enjoy life without cable news or Netflix. Stephen Troese Jr. can appreciate camping now more since he has a son of his own. As you probably know if you have read other blog posts he’s written, Stephen Troese Jr. and his son got the chance to travel across the country and see what life was like outside of I-95. It was an enlightening trip and one that allowed them to connect better than ever before. Stephen Troese Jr. says camping was a big part of his childhood, and his dad taught him things, like how to canoe and build a fire, that he hopes to teach his son. He looks forward to many months of camping under the stars and he encourages you to try it out as well if you don’t already. You’ll be amazed what you learn about yourself and others when camping.